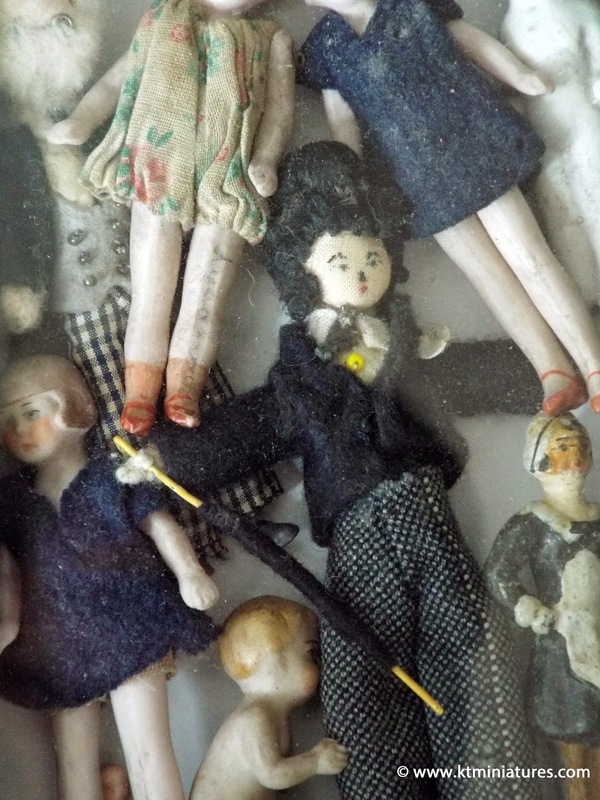 Dol-Toi Dolls Galore-Have Never Seen So Many-Some Quite Rare! 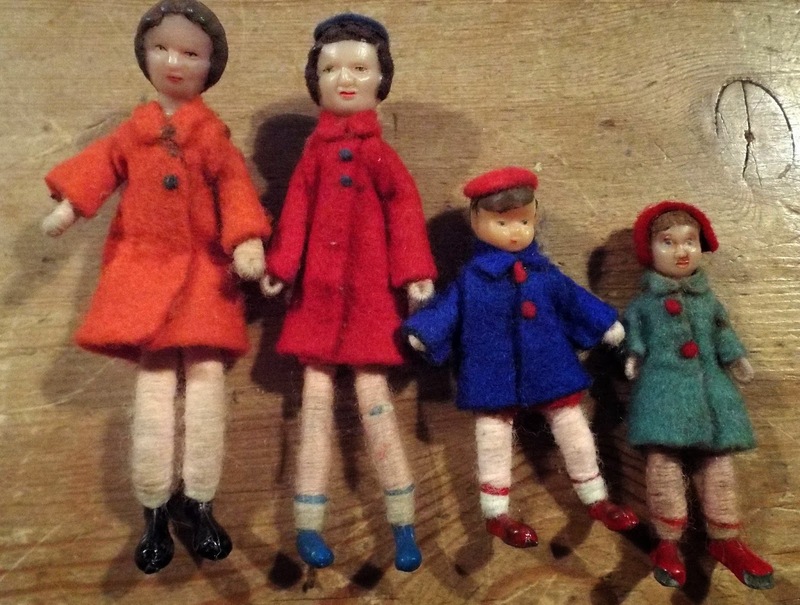 Yesterday, Marion Osborne's wonderful old Dol-Toi Doll Collection, was put up for sale on KT Miniatures website, which has been collected over many years, and all of which appear in Marion's amazing THE BOOK OF DOL-TOI. 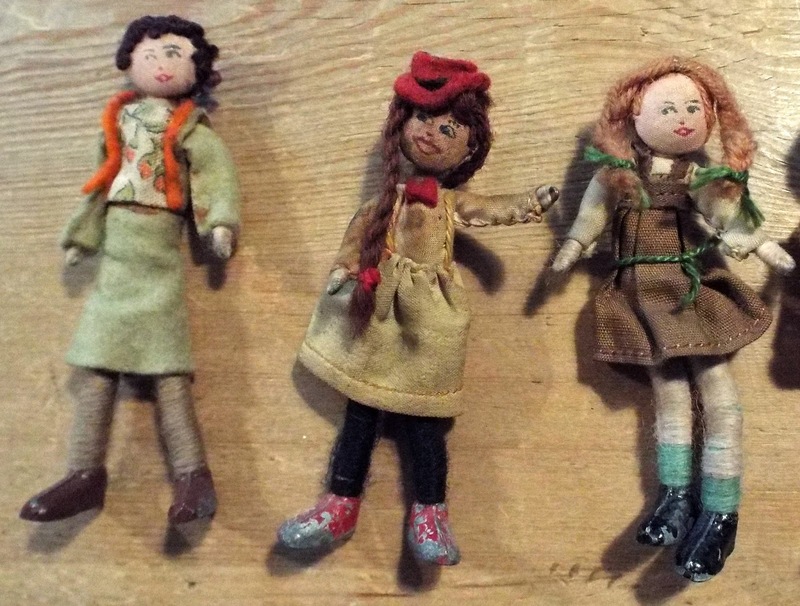 It has been a real treat to handle various dolls that I had only ever seen before in pictures! 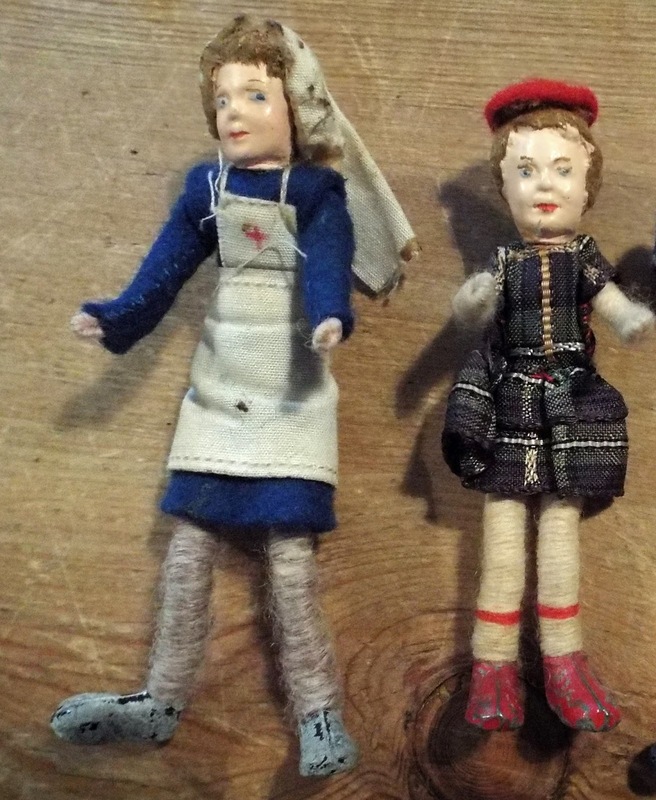 Over 90 dolls were listed yesterday alone and I shall highlight some of the more unusual ones on here. 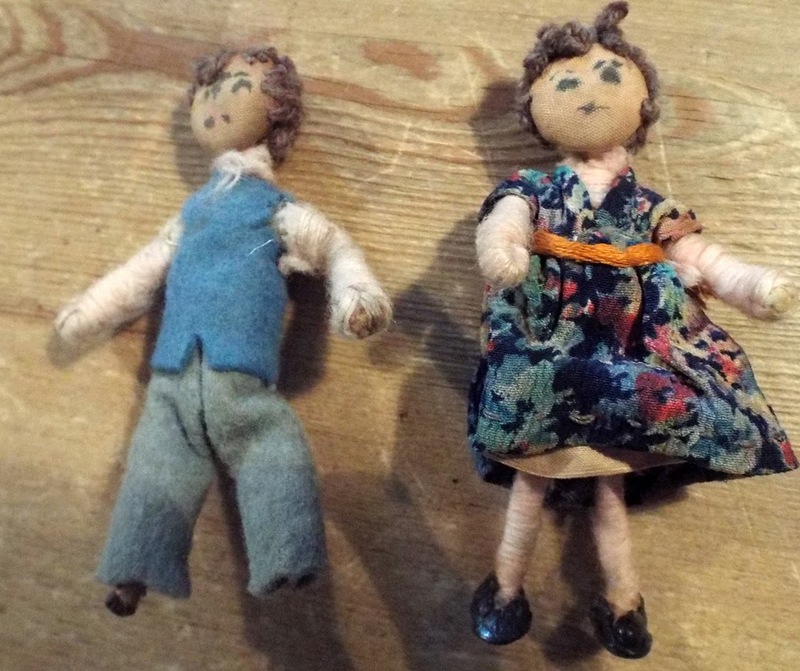 This handsome little couple may not look anything special but they are amongst the very first of the button head Tomac dolls that were made by Miss Thompson ....probably in the 1940s. 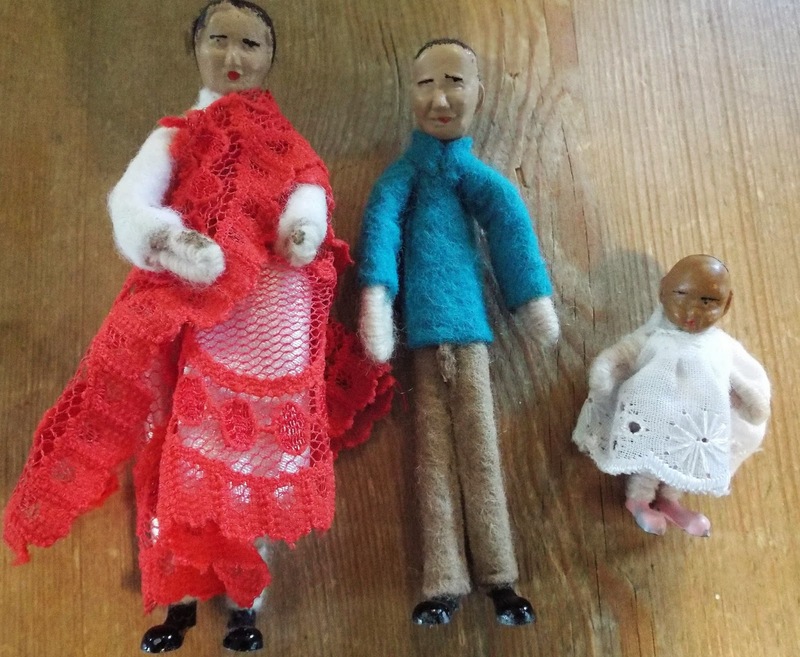 The poor father has lost his feet but mother still has her original clothing and shoes which are made out of sealing wax would you believe! Real collector items. 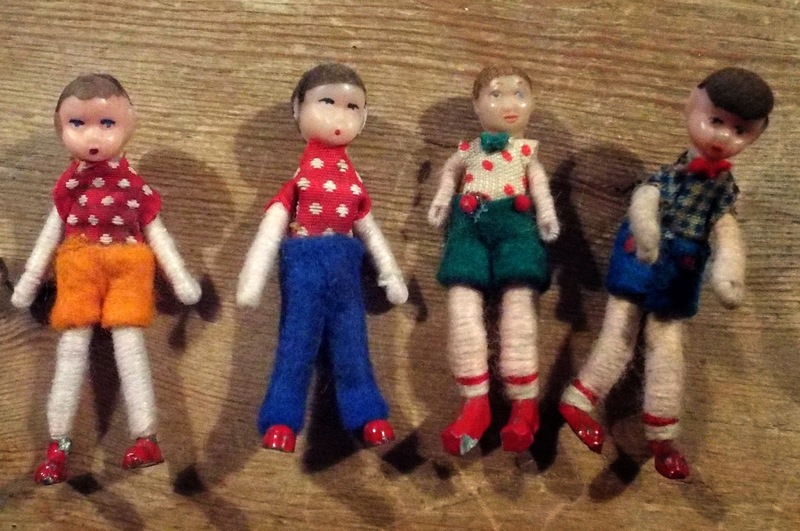 These are the more recognizable Tomac dolls with lead feet. 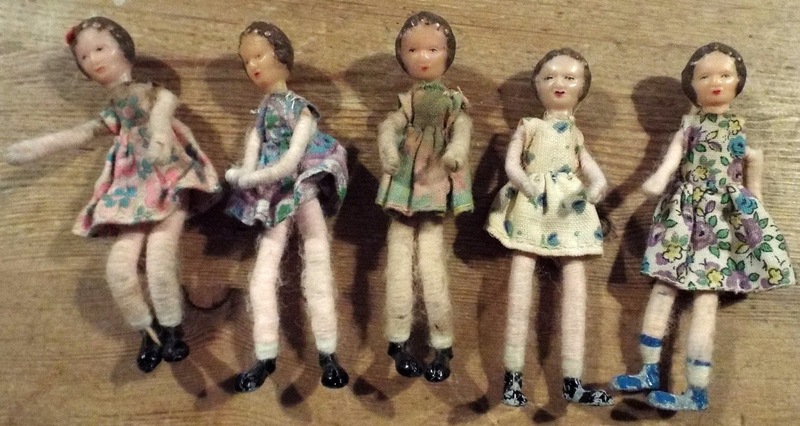 My favourite is Daisy May (who is quite rare) in the middle...her shoes may have lost quite a bit of paint but she is gorgeous. Tomac dolls are easily confused with Grecon dolls....they are so similar, but in Marion's Book Of Dol-Toi, she gives good advice on how to spot the difference - basically Tomac dolls have a button head which creates a pronounced jaw line and round face, big luscious lips and big eyes plus seams down the centre of their lead painted feet. 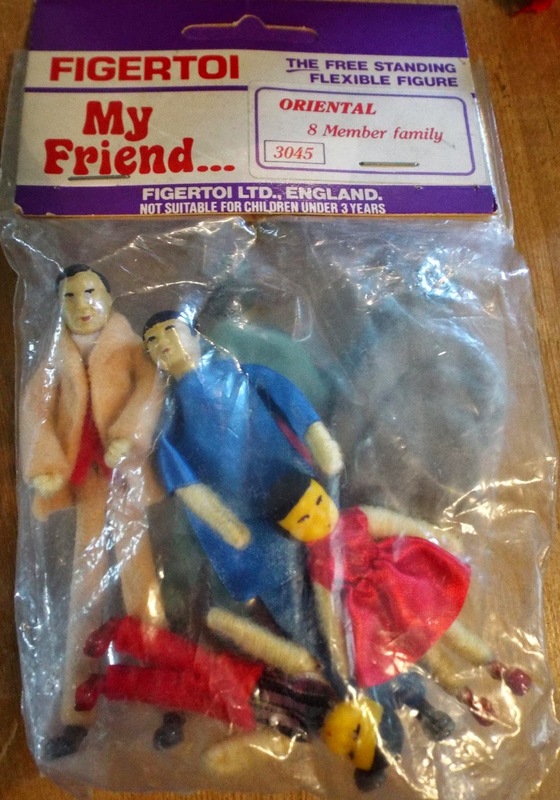 I must admit, even I still have problems sometimes in identifying, particularly if the dolls are really battered and worn. But aren't they gorgeous!!! 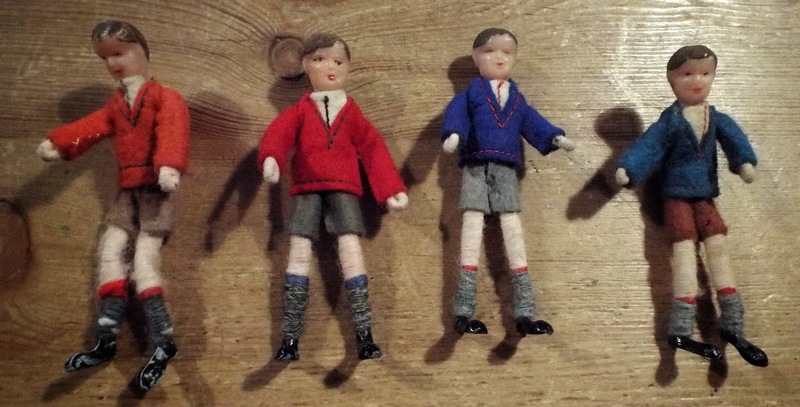 Then come the more labour saving plaster head Dol-Toi dolls with lead feet.....I understand that they were made just for a short while, in the very early 1960s, and then they were replaced by plastic heads. My favourite is the nurse, she is quite rare and simply does not come along very often. The Grandpa and Schoolgirl are still in their original packets and never been played with. However, some of the heads look a bit scary and enough to give little girls from any generation nightmares...haha! These are plaster head dolls from the Children Of All Nations range. 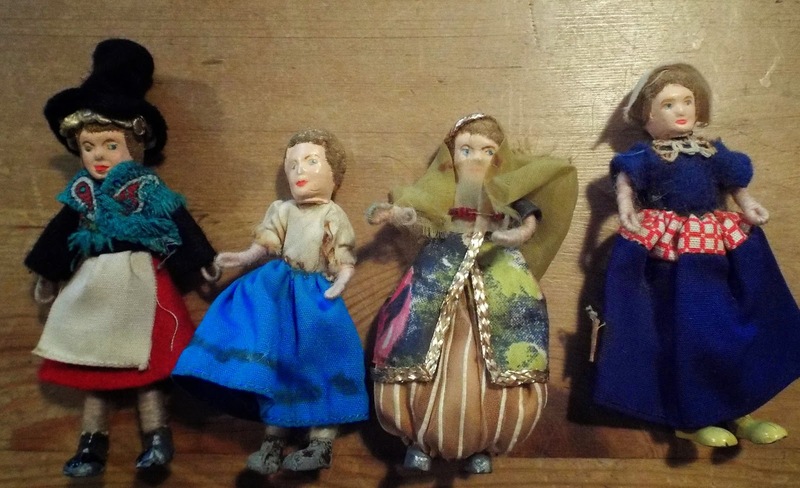 There is a Welsh doll, a Tyrolean doll (she has lost part of her costume), a magnificent Persian doll (just look at that costume) and a Dutch doll. Lovely! Then there came the plastic headed Dol-Toi dolls and then much later the Figertoi dolls. 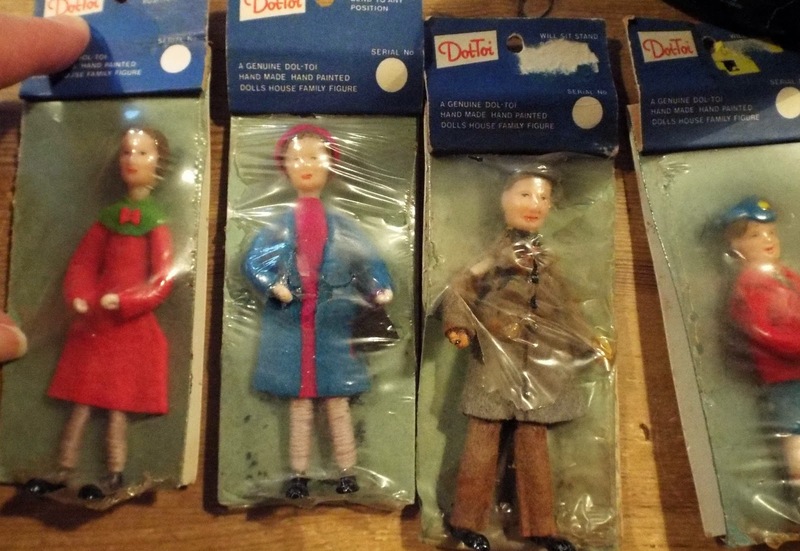 These Dol-Toi dolls seen above are still in their original packaging. There are even children in coats and hats! 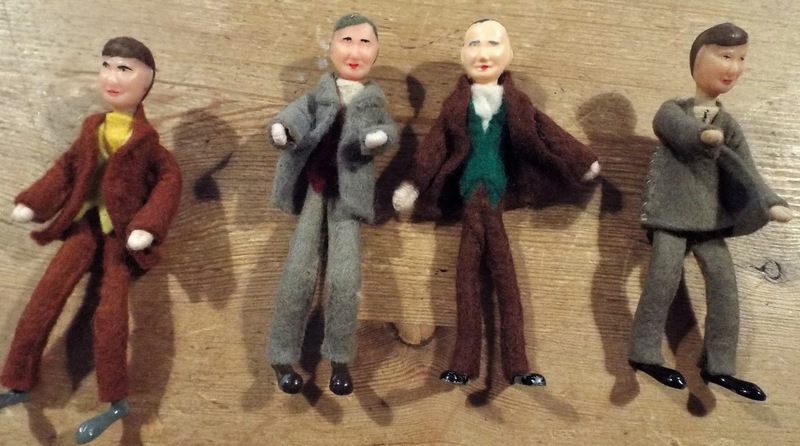 There are quite a few father dolls....here are just some. 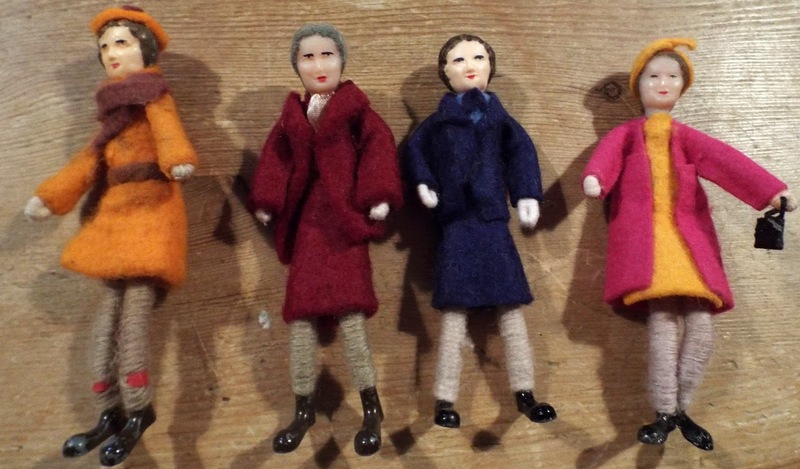 There are also various mother dolls in different outfits....I like the one in her posh coat and handbag! 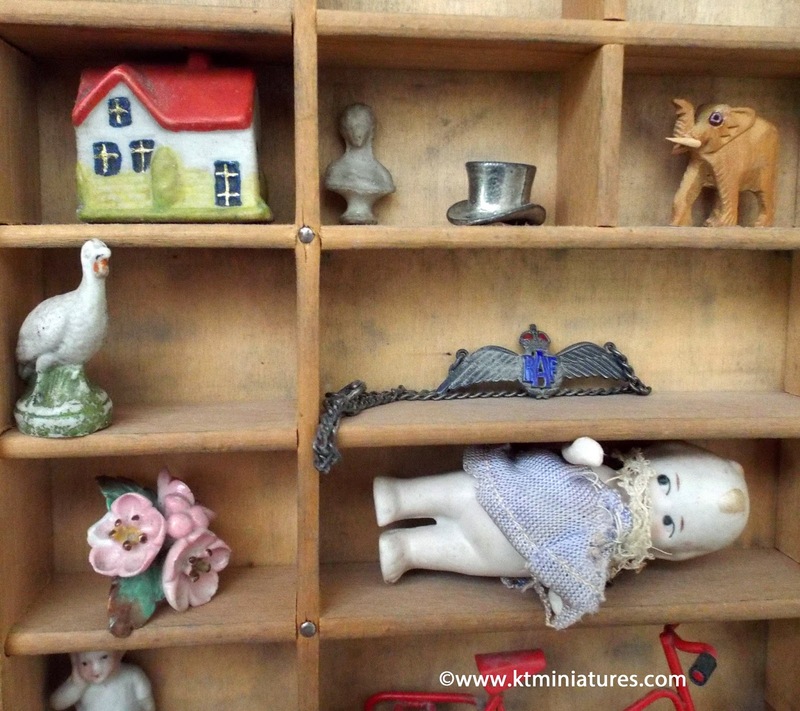 In this photo above, you can see some of the more unusual plastic headed dolls......the one on the end is Little Red Riding Hood! 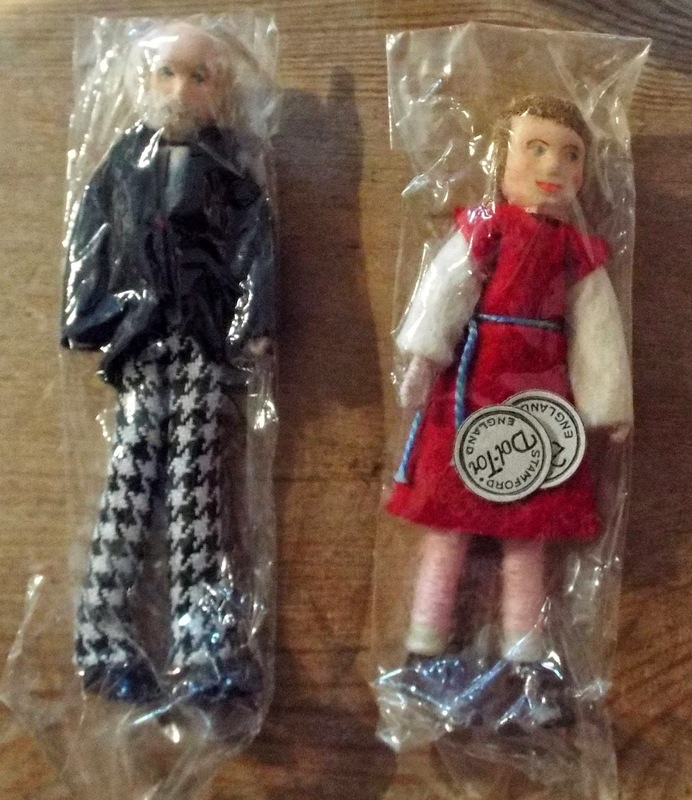 Amongst this collection too are some rare "Figertoi Family" doll sets. 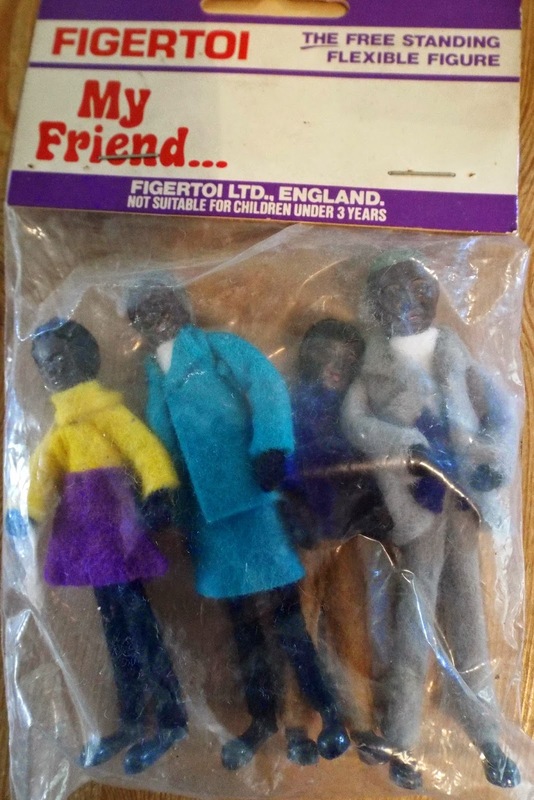 Above is the "Figertoi Afro Family"which consists of four dolls, all in original packet and never been played with. 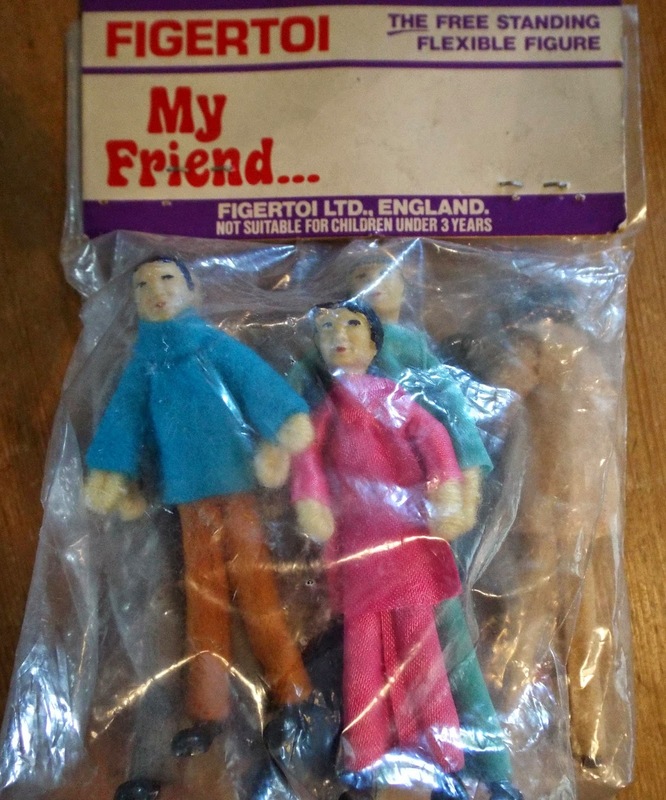 Then there is this double "Figertoi Oriental Family" pack consisting of 8 dolls, still unopened so consequently are in immaculate condition. Finally, there is this little "Figertoi Asian Family" group...the little baby particularly is delightful. 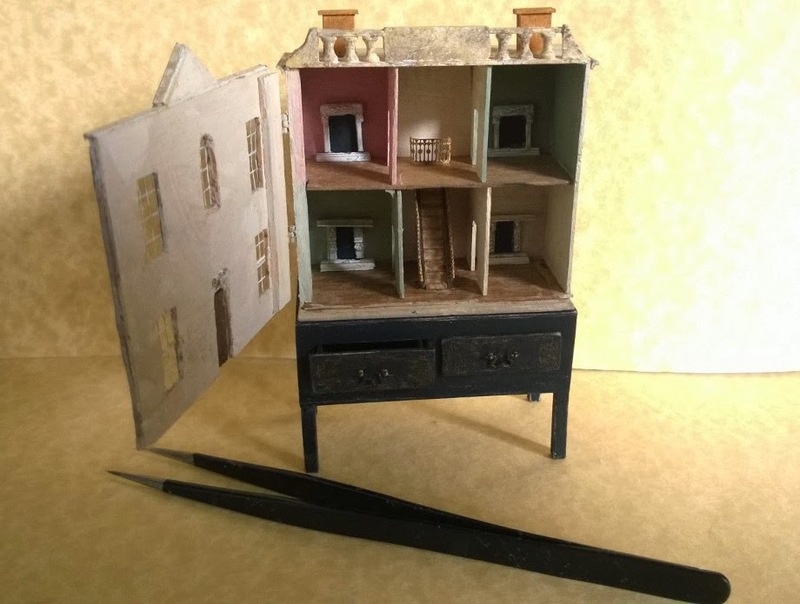 As of yesterday, KT Miniatures took over responsibility of producing Marion Osborne's latest BOOK OF TRI-ANG FURNITURE FOR THE DOLLS' HOUSE, on behalf of Marion. 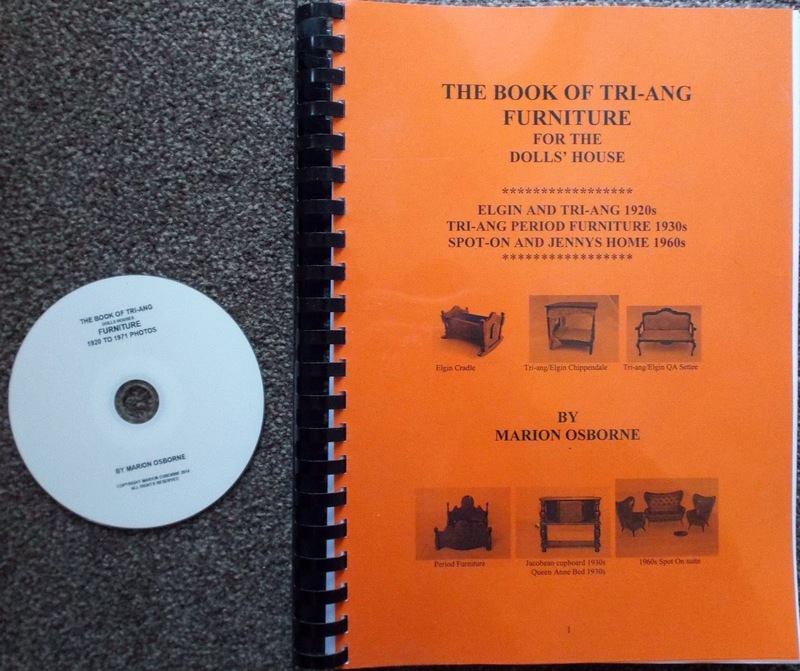 This is a unique comprehensive reference book for Tri-ang furniture. Includes Tri-ang furniture from 1921 to 1925 made by ELGIN, period furniture from 1935 to 1940, the entire Spot On range from 1960 to 1965, followed by all of the Jennys Home range from 1965 to 1970. There are pictures of most of the items that appear in Tri-ang catalogues too. The comb bound book contains 306 pages of text and comes complete with an accompanying disk containing over 4,600 photos. With new technology the print is lovely and crisp and the photos on the disk are in colour. 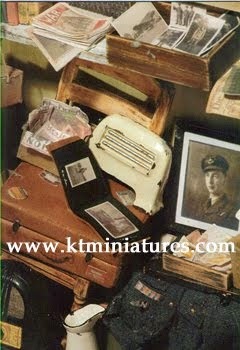 That means that all three of Marion's latest books can now only be purchased from KT Miniatures. This is because Marion wants to concentrate on simply writing and not be burdened with the nitty gritty of the production and ordering side of things. 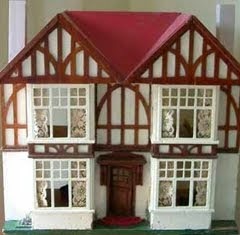 Marion is currently writing a book on G&J Lines dolls houses, plus early box back dolls houses. 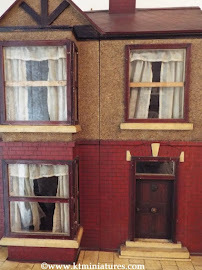 If you have an old G&J Lines or box back dolls house and can forward photos of your house(s) to help Marion in research for her latest book, please click here to find out more...she would love to hear from you! 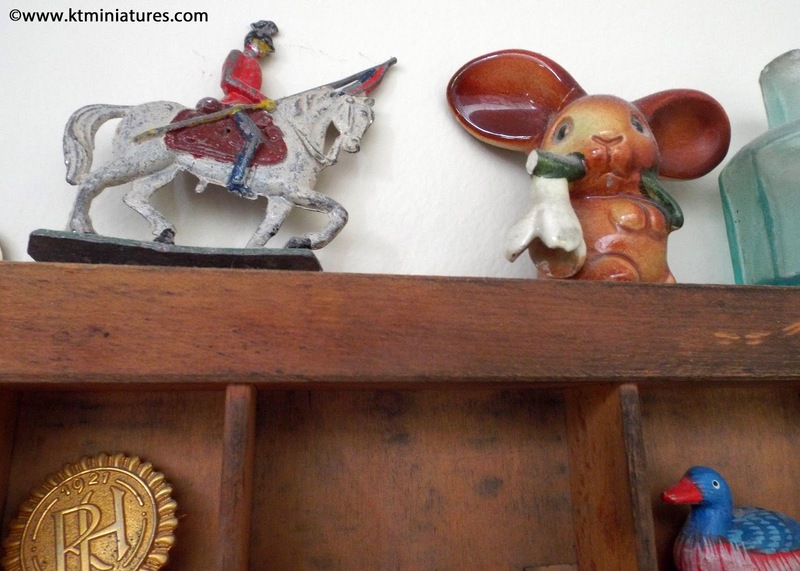 What To Do With Your Old Miniatures That Don't Have A Home To Go To! 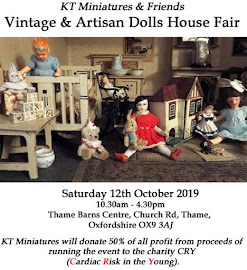 And for once....this person, who is not a "dolls house collector" and who usually just humours me over my old dolls house obsession, actually passed a complement saying..."what a brilliant idea" and that "they loved them"! Actually, the concept was not really my idea....as it was whilst flicking through the pages of one of those rather lovely posh country furnishing magazines in the dentist waiting room, that I came across a photo of various assorted artifacts rammed into separate frames for decoration. I think they had used keys, old sewing cards, cotton reels etc. But the "seed" was well and truly planted...and left me wandering what I could do with the concept. 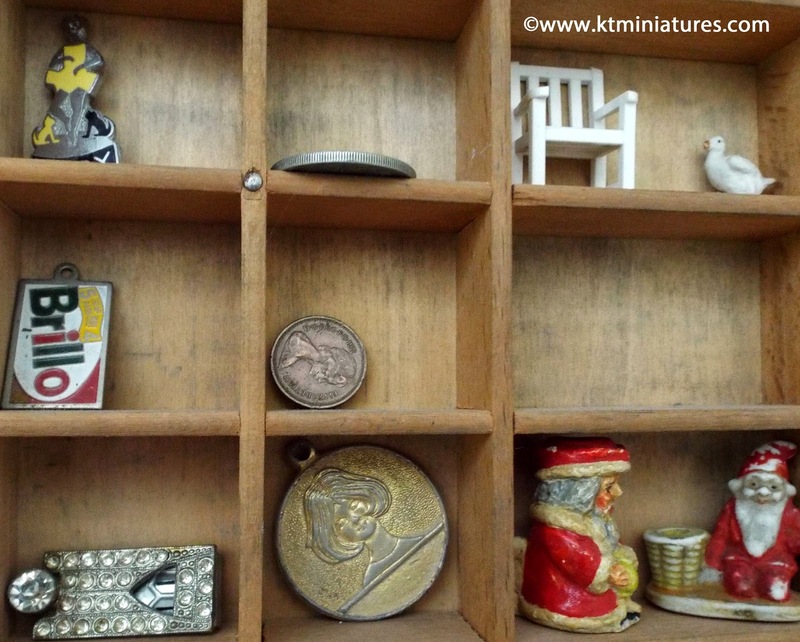 Hence, this is the result......all my little miniature dolls that I have fallen in love with and kept for various reasons, have finally got a place where they can be viewed easily on a daily basis. Followers of KT Miniatures may remember good old Charlie Chaplin, the unusual Grecon doll. I did reluctantly put him up for sale and then rapidly changed my mind....I simply couldn't part with him. He hid in my Pit-a-Pat wardrobe for a few months, in the bedroom of my Hobbies 186 Special....but unless you opened the wardrobe door, he could not be seen. 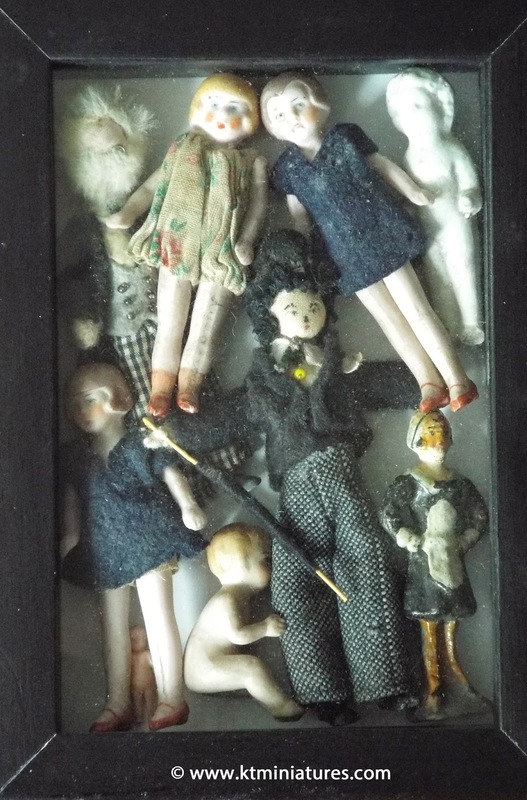 Plus my little bisque dolls, the little wooden 1920s waitress, Victorian Frozen Charlotte Doll, Grandpa Grecon etc. are now all on show in a dust free environment. Then I had a go at randomly displaying some bits and pieces that I want to keep...for various reasons (sentimental mostly) and placed them in another frame. I have used modern black frames with approx 1" depth.....so am limited as to what can go in them....but I think they are fun. Actually another "fun" aspect of this concept, is that I can add to the display or change it, as often as I wish. 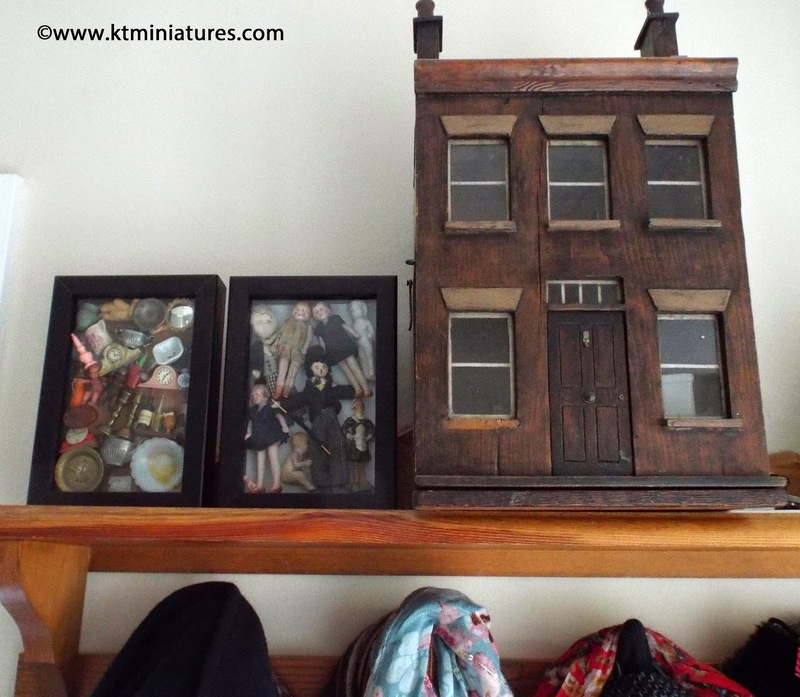 I have had this old wooden printer's frame on my wall for well over 20 years now and is a fabulous way to display all those tiny bits and pieces that you accumulate but don't know what to do with. This was bought for a few pounds off a local market junk stall. The only downside is that it does get dusty but I have a tried and tested solution.....just stand up close, shut your eyes and blow hard. Haha....it really does work!!! 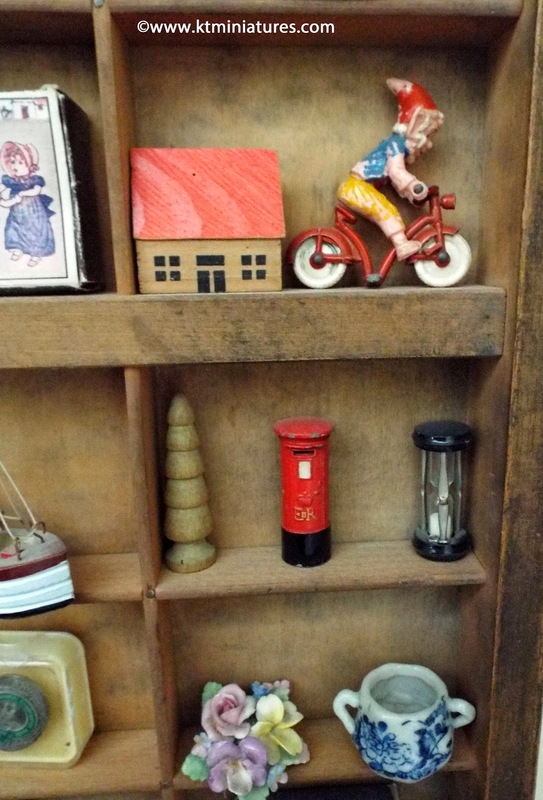 To be honest, I have pinched quite a few items from this display many a time for one dolls house or another, so there is very little left on there that is dolls house related. None of these items are valuable but the majority I have a sentimental attachment to such as my NNEB Nursery Nursing Badge that used to be pinned to my uniform many years ago; the sparkly 1930s brooch was my mum's as a child; the tiny china rabbit was given to me as a child by my maternal grandmother and sat on my dressing table for years as I grew up. And even though it has been broken and glued back together more than once, I love it! My hubby bought me the miniature egg timer for me from a shop in Chelsea.....way back in 1978 when we were still courting! Haha. Then there is my old school badge which we were all given in 1971 to celebrate the school's 50th birthday! (OMG...have just realised that in seven years time, that same school will be celebrating it's 100th anniversary....I suddenly feel rather ancient)! Then there's my Sindy pendant which I got when I joined the Sindy Club back in the 1960s! Plus the Judy badge which I got when I joined the Judy comic club.....(haha...yes, I was a very sad person even then)!! 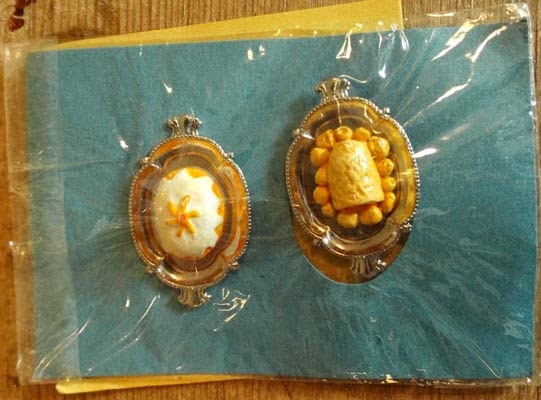 Am also rather partial to 1930s cake decorations.......and there are one or two on here! I hope you've found this inspiring...even if only in some small way.....hahaha (excuse the pun)! Have a lovely Bank Holiday Weekend all! 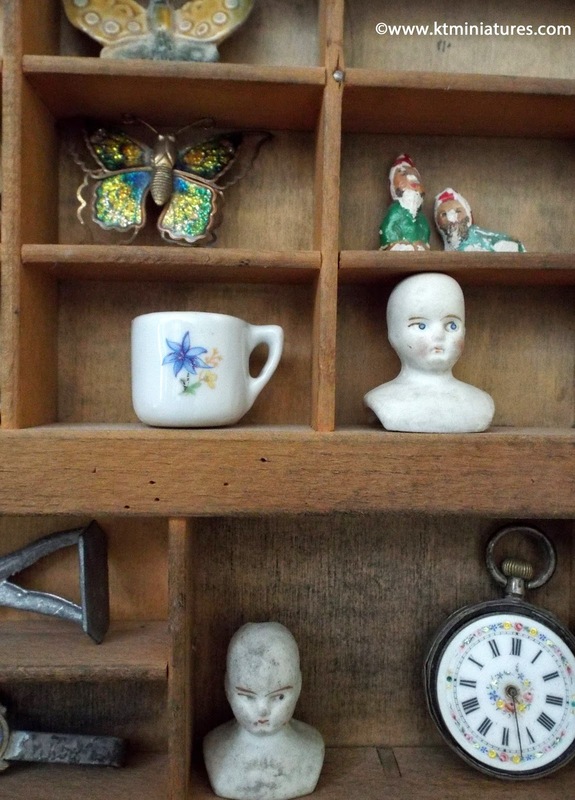 If You Love Old Dolls Houses & Dolls, Just Take A Look At Deb Jackson's Little Creations! I had a lovely time as a visitor at Kensington Dolls House Festival last Sunday. It just seemed that nearly every stand had the "wow factor". Along with my friends that came with me, we just stood in complete wonderment at so much creative genius! Having been a visitor a few times now to this rather lovely event in London, it just seemed to us that this particular fair was simply better than ever and the standard of artisans was simply breathtaking...even magical. However, as you have probably guessed by now that I am just a little bit obsessed with antique and vintage dolls houses (haha)..........so it is not surprising that I found utterly captivating the creations of a certain UK lady who I have known for quite a while but someone that many of you from the world of antique & vintage dolls house collecting may not be familiar with.......her name is Deb Jackson of Deb Jackson Designs (DJD). 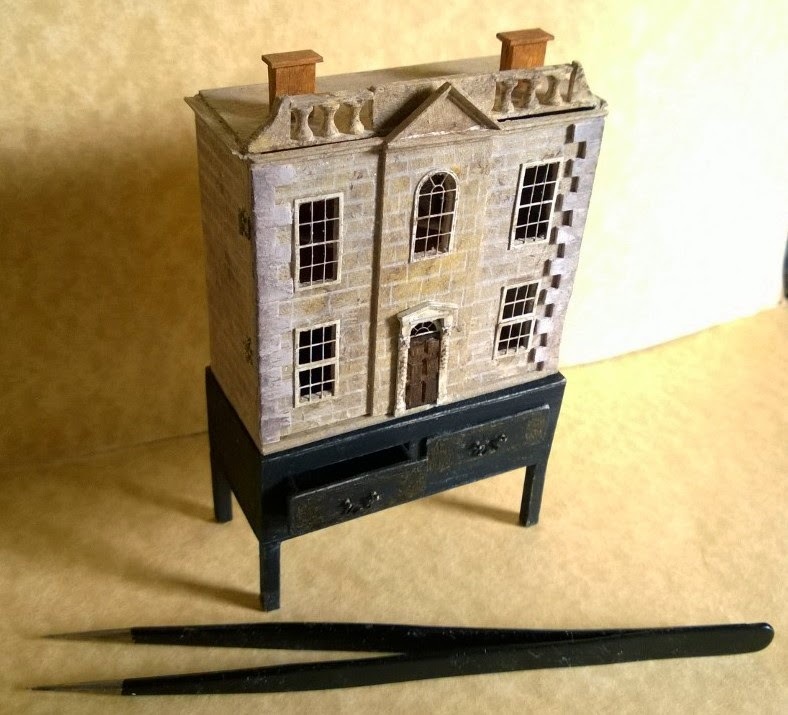 Amongst her many exquisite creations, Deb has been making some rather beautiful and stunning antique/vintage style miniature dolls houses in tiny scale to sit inside your own dolls house! 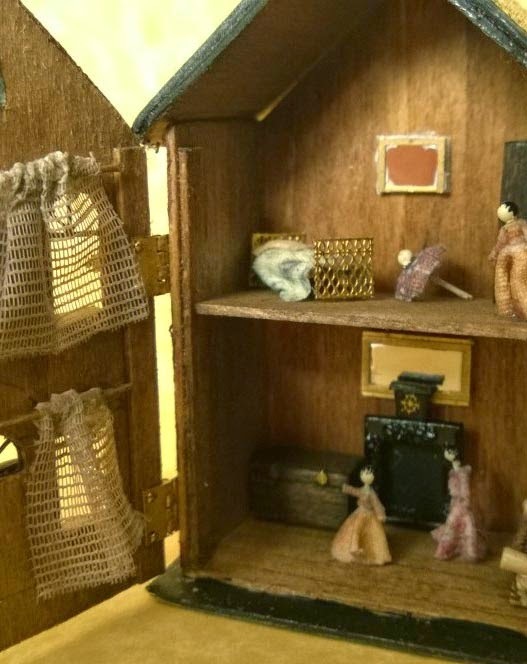 Some of them are based on actual old houses...and some come fully furnished...some even have inhabitants too! This is one of my favourites ...isn't it amazing? It even has a staircase with decorative ballustrades and fireplaces! 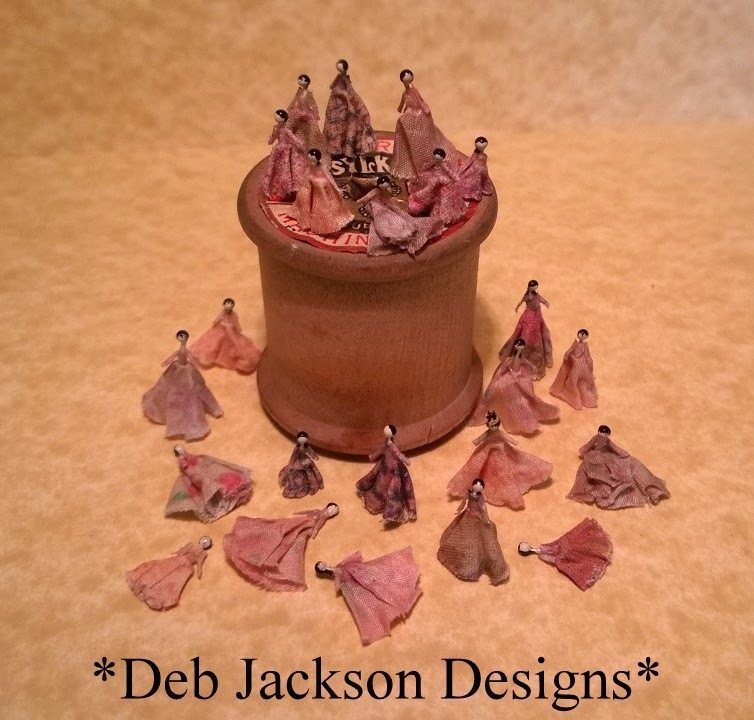 Amongst a real diversity of miniature creations, Deb also makes weeny antique style dolls including micro dollies sitting on tiny brass chairs!!! 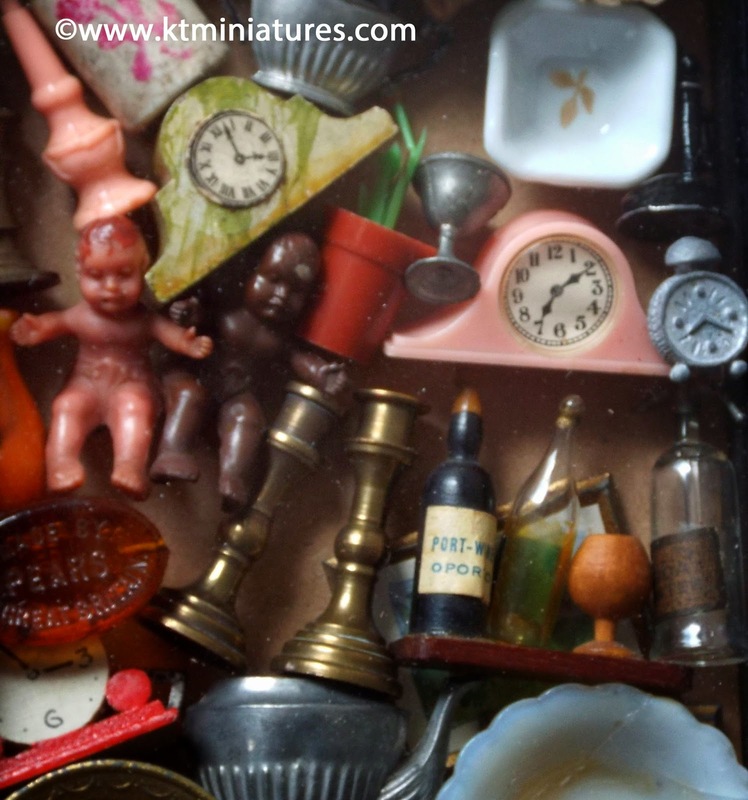 These beautiful miniatures would look rather lovely in our antique and vintage dolls house nurseries....don't you think? Please do go take a peek at Deb's website....you will love it! Yet More Dol-Toi From Marion Osborne's Collection Has Just Gone Up For Sale! Followers of KT Miniatures will know that for many months now, I have been working my way through through boxes and boxes of vintage Dol-Toi that belonged to Marion Osborne, and selling it all in batches on Marion's behalf. Gradually the quantity of boxes are diminishing but there is still yet more Dol-Toi to go! In the past 24 hours, I have had another mammoth listing session purely on Dol-Toi alone and there are multiples of all sorts now available to purchase. There is a multiple listing of 20 different Dol-Toi stools (I kid you not), all are for sale, and above you can see a few of them. and some without! 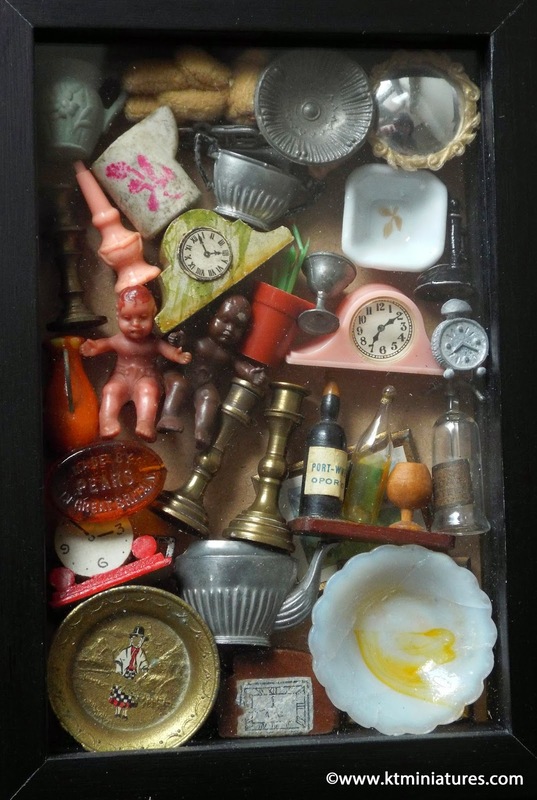 The empty cutlery boxes could be useful elsewhere in the dolls house...don't you think? 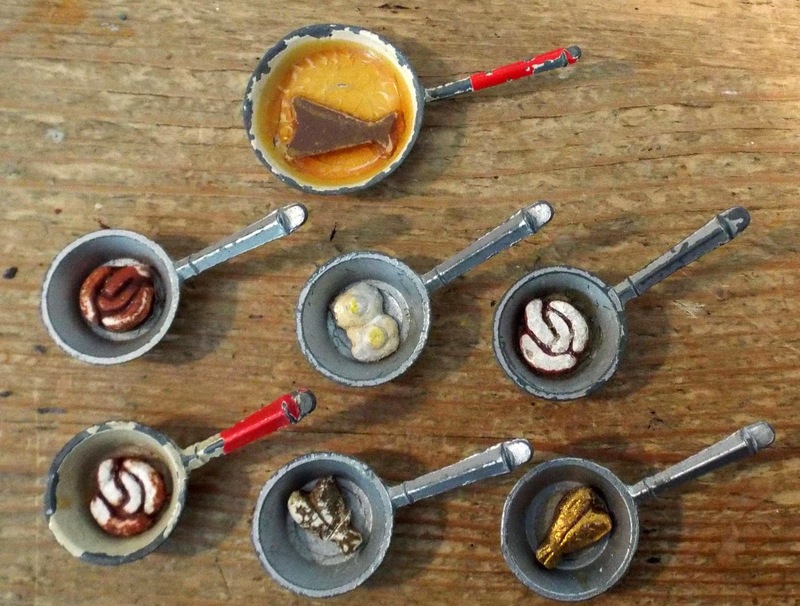 and there are old Dol-Toi saucepans with plaster food....not sure what the brown stuff is, maybe stew perhaps? along with various Dol-Toi plaster food on metal plates. There is even a Dol-Toi plaster treacle pudding and roast beef with roast potatoes on metal oval trays, still in the original carded packet....never been opened or played with! and various coloured Dol-Toi highchairs. 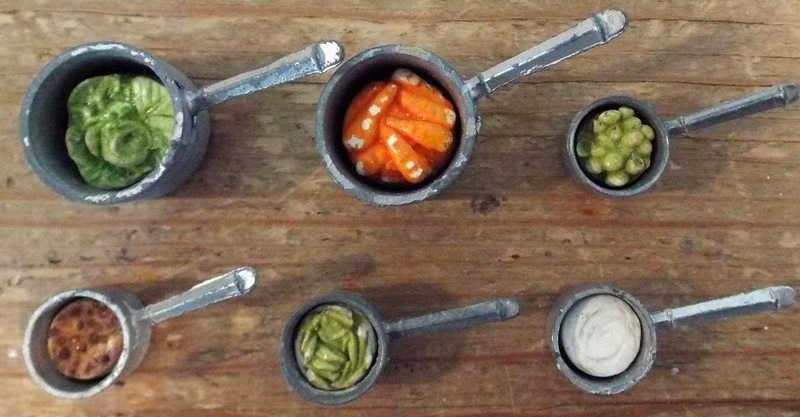 Labels: Dol-Toi Vintage Plaster Food, Marion Osborne's Dol-Toi Collection, Vintage Dol-Toi, Vintage Dol-Toi Metal Saucepans.